How Long Should A Radio Commercial Be On Fayetteville Radio? Fayetteville radio stations offer different commercial length options to fulfill the marketing objectives and budgets of local North Carolina small business owners. The most common lengths are :60 seconds; :30 seconds; :15 seconds; and :10 seconds. 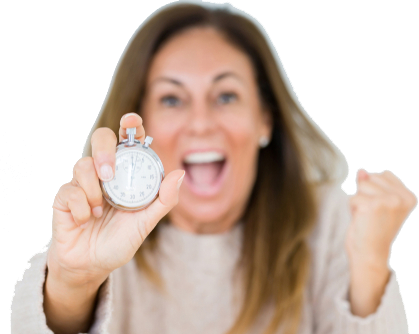 So, how long should a radio commercials be? The simple answer: As long as necessary, but as short as possible. According to "Seven Steps For Success", the length of a radio commercial should be determined, primarily, by the marketing objective of the underlying campaign. Typically, achieving a branding objective requires 60-second commercials. At least at the beginning of a campaign. Media expert Seth Godin describes brand as “a set of expectations, memories, stories, and relationships that, taken together, account for a consumer’s decision to choose one product or service over another.” Obviously, a message of this complexity would require a greater number of words, which requires more time. Promotional objectives, on the other hand, seek to compel consumers to take a specific action. This requires more commercials spread over multiple times-of-day on several radio stations to reach as many consumers possible. By taking advantage of the lower cost of shorter duration commercials, 30-seconds for instance, advertisers can purchase the volume of commercials necessary to generate significant reach. There is no reason, however, that only one length of commercial should be deployed as part of an advertising campaign on Fayetteville radio. One effective way to do employ multiple length ads is referred to as “sequencing”. Note: When numerals are used in a commercial, they translate to multiple words. For instance, the number 22 is actually two words: twenty and two. Web addresses are also multiple words. AdvertiseInFayetteville.com converts to five words: Advertise, In, Fayetteville, dot, and com. Also, using multiple multi-syllable words will drive down the word count. The duck flew at night to steer clear of light. Mallards routinely circumnavigate evening skies to ultimately evade daytime luminosity. 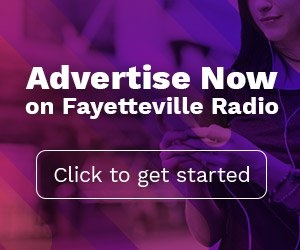 There is no single formula for creating effective ads on Fayetteville radio. What follows, though, are 11 proven guidelines to assist in the creation of an effective radio commercial. Start strong… a listener’s attention needs to be engaged within the first 3 or 4 seconds of a commercial. Be concise… use only words and sounds that link to the marketing objective. Extraneous words or too many selling points will cause a listener to disengage. Be consistent… use the same voices, music, and sounds to establish an audio identity across commercial campaigns. This can trigger instant brand recall. Be repetitive… the name of the advertiser should be repeated often to allow for an ebb-and-flow of a listener’s attention. Add surprise… a listener’s attention is drawn to the unexpected. This can be achieved by using multiple voices, interesting word choices, avoiding clichés, and changing the speaker’s tones and volume. Tell a story… listeners are hardwired to emotionally respond to features and benefits when presented in story-form rather than as a list. The advertiser should be the hero of the story. Write for the ear… radio commercials should sound like the way we speak, not the way we write. Humans don’t apply the same set of rules to speech that they do to written communication. When speaking, we often use broken sentences, non-sequiturs, and awkward phrasing. A listener’s attention is more likely to be drawn to this type of natural speech. Talk… listeners prefer to be “talked with” not “announced at”. Stereotypical radio voices should be replaced with the same tones and manner used to talk with friends. Use humor cautiously… humor is a good way to command attention but can be difficult to execute well. Be certain that the humor in a radio commercial will resonate positively with the target consumer. Finish strong… not every listener will engage with a commercial at the same time. So, it is critical to finish by reinforcing the key points presented throughout. This includes restating the advertiser name and the key marketing message. Expand… there is no reason an advertising campaign can’t use multiple commercials. In fact, it is encouraged as long as the first 10 guidelines on this list are adhered to…especially #3. Creating memorable radio commercials for Fayetteville radio has been successful for many North Carolina small businesses brands. This includes the Law Cotton Law Firm. 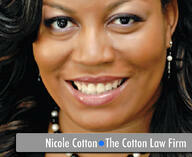 Nicole Cotton, the firm’s principal attorney, began using radio in 2010 shortly after opening her first law office in 2010. Based on the billings she generated from her current clients, her radio advertising, and her personal drive to succeed, Ms. Cotton was able to open her second office in Fayetteville a year later.